Gift Bricks® is a great way for college organizations to raise money for expansions and special events. Engraved bricks are a highly profitable college fundraiser. Engraved donor bricks can be displayed in brick walkways, memorial gardens, and donor recognition walls. Through a buy a brick program college groups have been able to raise the money they need for many ongoing projects. Colleges have found that a Gift Bricks® engraved brick fund raiser makes it easier to accomplish their financial goals. College fraternities and sororities from across the USA have discovered the fun with Gift Bricks® fundraising. Other college organizations that have benefited from a donor brick fundraiser include: campus facility improvements, music, marching band, and athletic sports fundraising events. 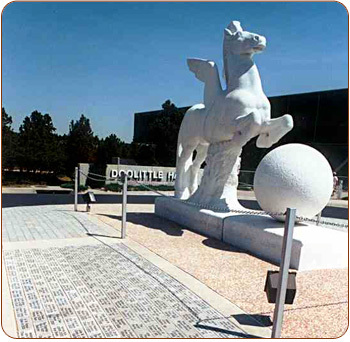 Gift Bricks® also offers colleges cast donor bronze plaques and mini-replica bricks or tiles. We work with you to find the right mix of materials to fit your campaign. Engraved Gift Bricks® are a great way to commemorate any special occasion including: anniversaries, graduations, or remembering a special event. We even offer a mini replica brick, engraved and mailed to your contributors. Replica bricks can be an exact duplicate of the original donor brick, or a special design that commemorates your fundraising event. Call Gift Bricks® staff to get started today, or whenever you are ready.